Oahu from the air. Photograped by Brocken Inaglory in September of 2004. 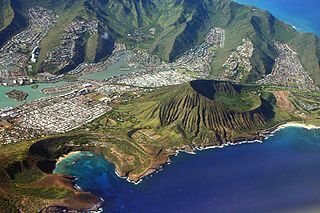 現在の版 2007年4月25日 (水) 00:09 3,072 × 2,048 (4.11メガバイト) Mbz1 [http://en.wikipedia.org/wiki/Oahu Oahu] from the air. Photograped by [http://home.comcast.net/~milazinkova/Fogshadow.html Mila Zinkova] in September of 2004.